A jointer, also known in some places as a planer. The best way to begin the process of choosing the best electric planer for your needs is to determine exactly what your needs are. This means thinking ahead about how the planer will be used for the current project as well as future projects, as well as how often you are likely to use the electric planer. Be sure to consider your budget as well, as the cost of such planers can vary significantly according to size, brand, features, and so on. Test out several units to find the one that is most comfortable and functional for you. Choose between a battery-powered electric planer and a planer with a cord to be plugged into an outlet. Battery-powered planers are convenient because they can be used anywhere without having to search for a power outlet, but such an electric planer is designed for smaller jobs. The battery-powered planer will not be as powerful, and it will not be able to handle heavy-duty jobs in most cases. For smaller jobs, however, the battery-powered planer is ideal, lightweight, and easy to manipulate. For larger jobs, you will need to consider planers with cords to be plugged into an outlet for higher power and heavier duty functions. Consider adjustability and features when choosing among electric planer models. The blade that does the planing should be easily adjustable so you can plane at varying depths. The blades themselves should be easy to replace and install, as you are likely to go through these blades fairly quickly if you use the planer often. Some planers might feature a dust collection system to ensure the air quality in the workshop remains breathable at all times, and just about all planers will feature some sort of emergency shut-off function. Be sure this function is easy to use. The size and shape of the electric planer will have an impact on its usability. Be sure to pick up and manipulate several models to find the one that will work best for you. The handles should be logically placed so you will be able to manipulate the machine accurately, and the power lever or switch should be situated on one of the handles in such a way that it is very easy to turn the machine on and off when necessary. Test the weight of the planer to ensure you will be able to lift and control it during planing. 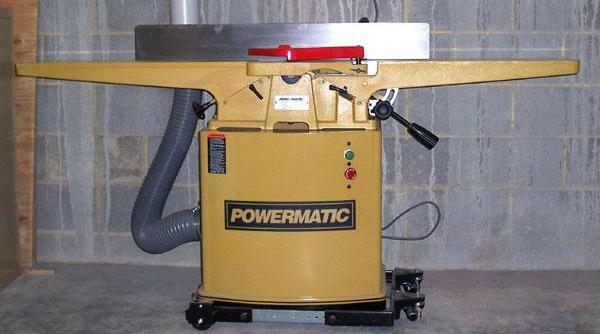 How Do I Choose the Best Hand Wood Planer? What is an Electric Hoist?